This Land Rover Range Rover Evoque has a dependable Intercooled Turbo Premium Unleaded I-4 2.0 L/122 engine powering this Automatic transmission. WHEELS: 19 10-SPOKE ALLOY (STYLE 103) -inc: Tires: 19, SATELLITE RADIO, RADIO: 380W MERIDIAN SOUND SYSTEM -inc: 11 speakers including subwoofer and USBs (x2), CD/DVD Player. * Drive Your Land Rover Range Rover Evoque SE in Luxury with These Packages*INCONTROL TOUCH PRO NAVIGATION SYSTEM (HDD) -inc: 10 capacitive touch-screen, solid state drive (SSD) based navigation, INCONTROL TOUCH PRO INFOTAINMENT SYSTEM -inc: 10 capacitive touch-screen, controls audio, navigation, Bluetooth, climate control, and Connect Pro content, CD/DVD Player, INCONTROL PRO SERVICES FOR WARRANTY PERIOD -inc: connected navigation w/real time traffic, route planner app, arrival mode, destination sharing, street and satellite views and fuel prices, live services w/news, finance, sports, Google send to car, weather and FlightTracker, voice dictation (excludes navigation) and Wi-Fi hotspot, Connected navigation active for warranty period, Wi-Fi hotspot and live services includes 3GB or 3 month (whichever comes first) trial, Renewal required thereafter, HEATED WINDSHIELD, FUJI WHITE, EBONY/EBONY, GRAINED LEATHER SEAT TRIM, EBONY MORZINE HEADLINING, Wheels w/Silver Accents, Voice Activated Dual Zone Front Automatic Air Conditioning, Valet Function, Trip Computer, Transmission: 9-Speed Automatic -inc: drive select w/paddle shift and sport mode, Towing Equipment -inc: Trailer Sway Control, Tires: P235/60R18, Tire Specific Low Tire Pressure Warning. * Stop By Today *Test drive this must-see, must-drive, must-own beauty today at Jaguar Land Rover Lakeridge, 280 Achilles Rd, Ajax, ON L1S 7S3.This Land Rover Range Rover Evoque has a dependable Intercooled Turbo Premium Unleaded I-4 2.0 L/122 engine powering this Automatic transmission. WHEELS: 19 10-SPOKE ALLOY (STYLE 103) -inc: Tires: 19, SATELLITE RADIO, RADIO: 380W MERIDIAN SOUND SYSTEM -inc: 11 speakers including subwoofer and USBs (x2), CD/DVD Player. *Packages That Make Driving the Land Rover Range Rover Evoque SE An Experience*INCONTROL TOUCH PRO NAVIGATION SYSTEM (HDD) -inc: 10 capacitive touch-screen, solid state drive (SSD) based navigation, INCONTROL TOUCH PRO INFOTAINMENT SYSTEM -inc: 10 capacitive touch-screen, controls audio, navigation, Bluetooth, climate control, and Connect Pro content, CD/DVD Player, INCONTROL PRO SERVICES FOR WARRANTY PERIOD -inc: connected navigation w/real time traffic, route planner app, arrival mode, destination sharing, street and satellite views and fuel prices, live services w/news, finance, sports, Google send to car, weather and FlightTracker, voice dictation (excludes navigation) and Wi-Fi hotspot, Connected navigation active for warranty period, Wi-Fi hotspot and live services includes 3GB or 3 month (whichever comes first) trial, Renewal required thereafter, HEATED WINDSHIELD, FUJI WHITE, EBONY/EBONY, GRAINED LEATHER SEAT TRIM, EBONY MORZINE HEADLINING, Wheels w/Silver Accents, Voice Activated Dual Zone Front Automatic Air Conditioning, Valet Function, Trip Computer, Transmission: 9-Speed Automatic -inc: drive select w/paddle shift and sport mode, Towing Equipment -inc: Trailer Sway Control, Tires: P235/60R18, Tire Specific Low Tire Pressure Warning. 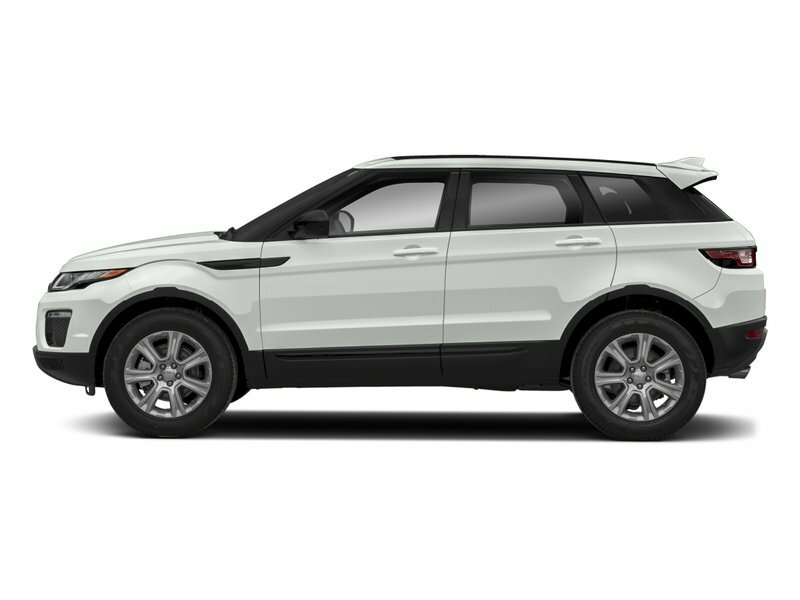 * Stop By Today *For a must-own Land Rover Range Rover Evoque come see us at Jaguar Land Rover Lakeridge, 280 Achilles Rd, Ajax, ON L1S 7S3. 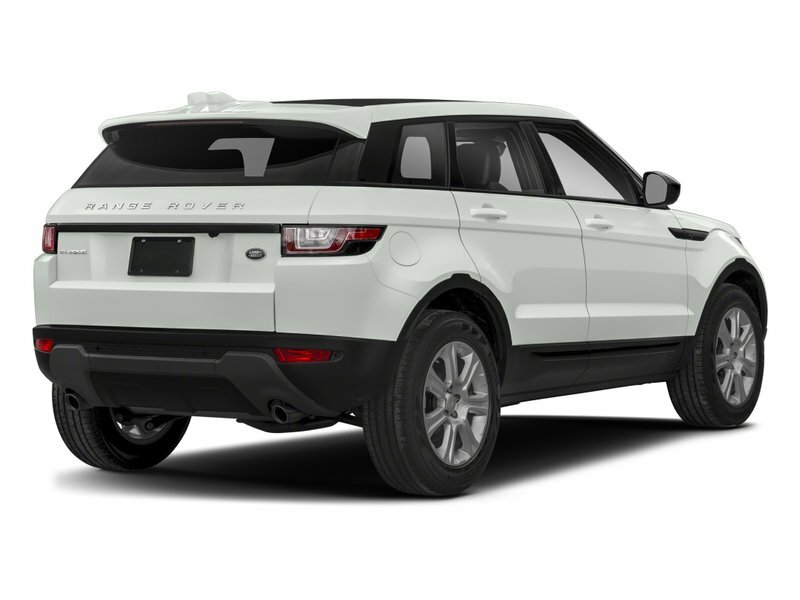 Just minutes away!This Land Rover Range Rover Evoque has a powerful Intercooled Turbo Premium Unleaded I-4 2.0 L/122 engine powering this Automatic transmission. WHEELS: 19 10-SPOKE ALLOY (STYLE 103) -inc: Tires: 19, SATELLITE RADIO, RADIO: 380W MERIDIAN SOUND SYSTEM -inc: 11 speakers including subwoofer and USBs (x2), CD/DVD Player. *Packages That Make Driving the Land Rover Range Rover Evoque SE An Experience*INCONTROL TOUCH PRO NAVIGATION SYSTEM (HDD) -inc: 10 capacitive touch-screen, solid state drive (SSD) based navigation, INCONTROL TOUCH PRO INFOTAINMENT SYSTEM -inc: 10 capacitive touch-screen, controls audio, navigation, Bluetooth, climate control, and Connect Pro content, CD/DVD Player, INCONTROL PRO SERVICES FOR WARRANTY PERIOD -inc: connected navigation w/real time traffic, route planner app, arrival mode, destination sharing, street and satellite views and fuel prices, live services w/news, finance, sports, Google send to car, weather and FlightTracker, voice dictation (excludes navigation) and Wi-Fi hotspot, Connected navigation active for warranty period, Wi-Fi hotspot and live services includes 3GB or 3 month (whichever comes first) trial, Renewal required thereafter, HEATED WINDSHIELD, FUJI WHITE, EBONY/EBONY, GRAINED LEATHER SEAT TRIM, EBONY MORZINE HEADLINING, Wheels w/Silver Accents, Voice Activated Dual Zone Front Automatic Air Conditioning, Valet Function, Trip Computer, Transmission: 9-Speed Automatic -inc: drive select w/paddle shift and sport mode, Towing w/Trailer Sway Control, Tires: P235/60R18, Tire Specific Low Tire Pressure Warning. 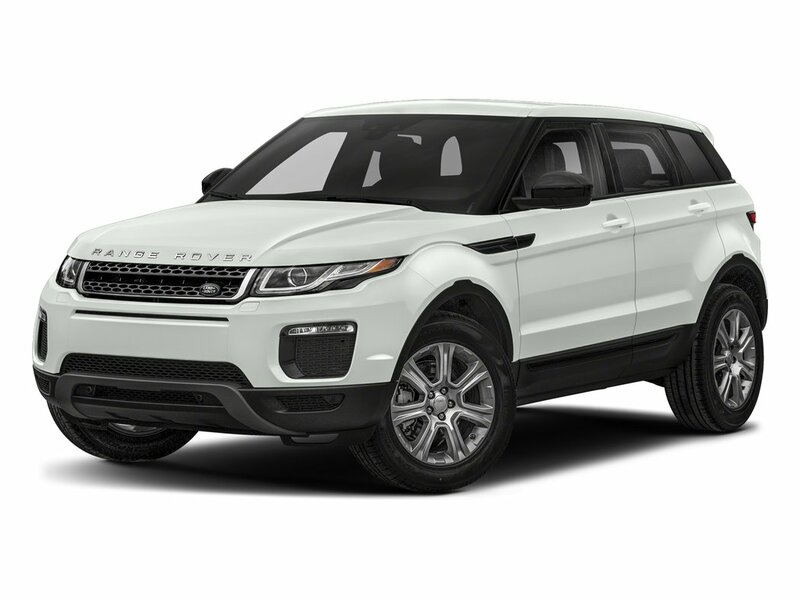 * Stop By Today *Come in for a quick visit at Jaguar Land Rover Lakeridge, 280 Achilles Rd, Ajax, ON L1S 7S3 to claim your Land Rover Range Rover Evoque!Prices include all fees except licensing and HST.